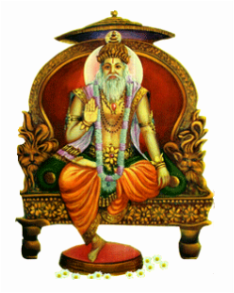 ﻿Varshneys are the progenies of Sri Akrurji Maharaj. The first known reference of the term " Varshney " has been in Mahabharat Gitopadesh when Arjuna had addressed Shri Krishna by this name. Akrura Ghat is one of the bathing ghats at Vrindavan, Mathura district. This is the place where Lord Krishna and Lord Balarama are believed to have revealed their forms of Lord Vishnu and sesha naga to Akrura ji. The text Adi Varaha Purana illustrates Akrura Ghat as the king of all holy places. One of the major attractions is an ancient Gopi Nath temple dedicated to Krishna and Balarama. 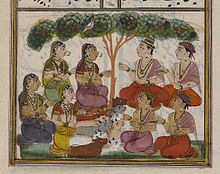 Akrura is depicted standing in between the two. It is believed that one can eradicate all his sins by bathing here during a full moon. The site also presents brief information about Varshney community in bhopal. We solicit the contribution of all members and well wishers in updating of database and also in rendering the services to each other.